In the last twenty years HUGE advances have been made with technology. 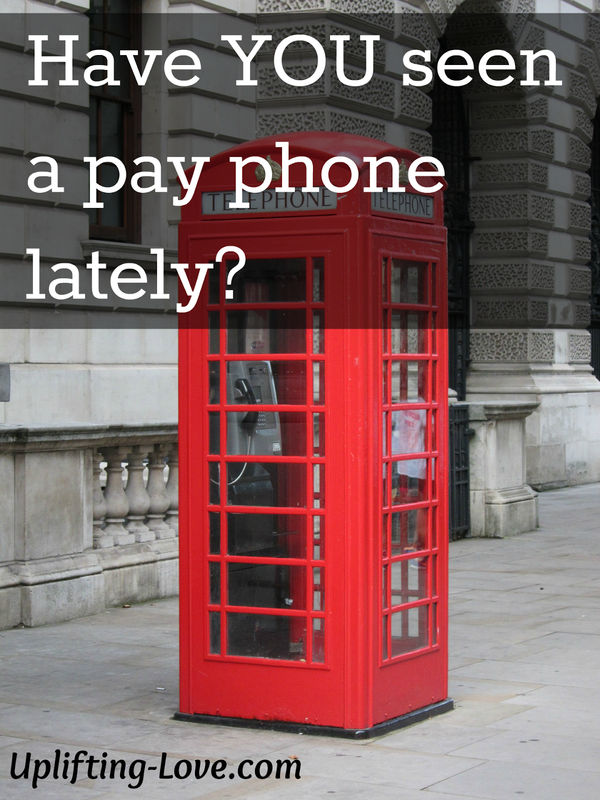 I remember as a child and even into my teens I was always sure to have a couple of quarters so that I could make a phone call from a payphone in an emergency. Now you can’t find a payphone. I don’t recall seeing a functional one in the last couple of years. This is because today everyone has a cell phone of their own and they don’t need a payphone. One of the overlooked uses of cell phones, or at least under emphasized uses, is to express our love for our spouse. 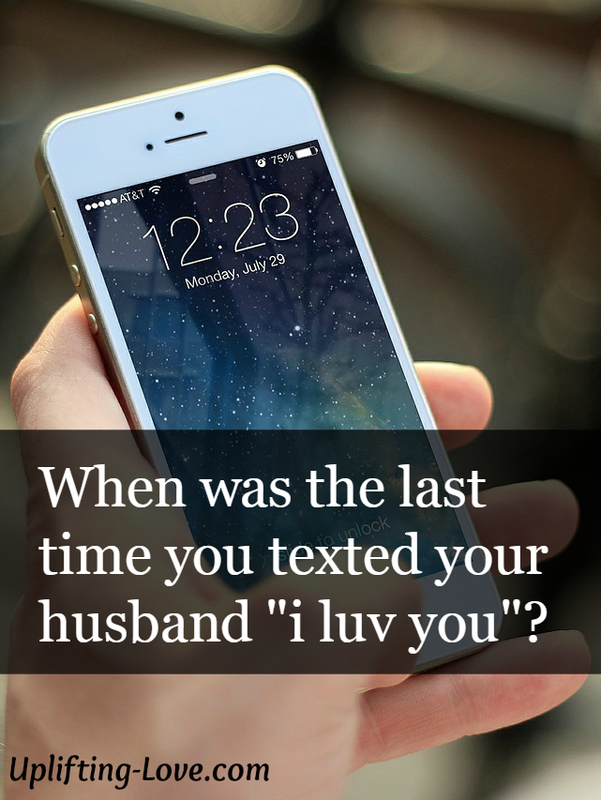 When was the last time you texted your husband “i luv u” out of the blue? Just the other day my wife texted me a picture of her blowing a kiss. That made me smile. What a wonderful text to receive in the middle of the afternoon. It made me that much more anxious for work to end so that I could go home to her. When I finished my master’s degree she did a tribute to me in a post on her blog. These things make me smile. Both of these things can be done with a cell phone. Think of the things that you can do to remind your spouse that you love them. Then do them!! Once you have share with me what you did and what the reaction was. There’s a good chance I’ll publish it in one of my upcoming newsletters (if you haven’t already, subscribe to my newsletter! ).